I've got a new SD that's stuck at the Dealers because it's waiting on the release of the "Diesel-gate" software update! I ordered it September 2017 and it arrived at the dealership in February this year. They've kindly registered and loaned a 2LTR petrol version to me which I've been driving for the last 5 months. Thankfully it's quite highly spec'd so not a hardship for a loan vehicle. My question though - Does anyone have any idea how to find out what's going on with this software update, how much longer is it going to be before it's released and I can get my hands on my vehicle? Last edited by Paul on Mon Aug 06, 2018 8:43 pm, edited 1 time in total. So it's been sitting since Feb awaiting an update and still no news. Think I would be telling them to keep it by this stage. Diesel is too much of a liability now. As said, contact your dealer. Great that you have a good loan car and still zero miles on your Macan. I agree with what's been said above! If you've been waiting since Feb, I'd be having a frank chat about an exchange into a petrol! I wouldn't touch a diesel at the moment. You have a saintly patience!. 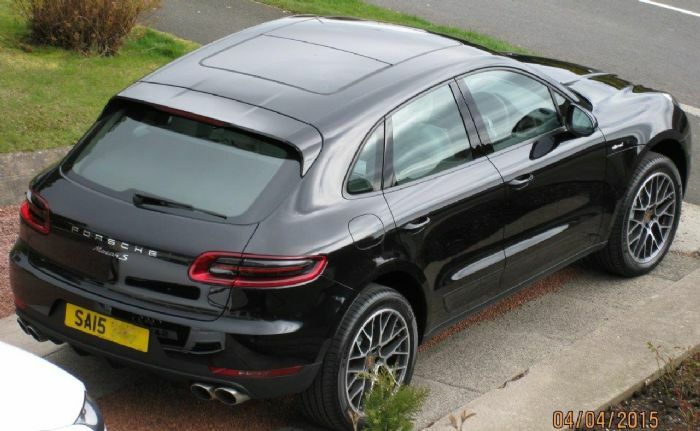 By now I'd be demanding a Macan GTS brand new upgrade for the same price. I'm in the same situation. Feb 23rd build - car is apparently still in Germany with no firm ETA. Porsche currently paying for a long term loan car via enterprise. My current understanding is that the 3L diesel is not WLTP tested and won't be as it's no longer manufactured, and that might mean there is a hard cut-off for when these can be supplied. Test them to keep it if it isn't WLTP tested or give you a substantial discount to take it. Sounds like a liability that I wouldn't want to be paying for. Thanks for your comments and advice, much appreciated. I agree with what’s been said about Diesel and the Government stance certainly hasn’t helped but for me it’s still the only practical fuel. The cost of Petrol is just too expensive given its mpg. As battery technology improves I’m sure it’s range will likewise improve, as will the speed of charging. That said its going take 20 years before the infrastructure in Europe can support it and I’ll be 84 by then, so most likely not driving anyway! I intend to drive in Europe quite a lot and from my experience you’re lucky to find a petrol station in rural France, let alone an electric charging point.